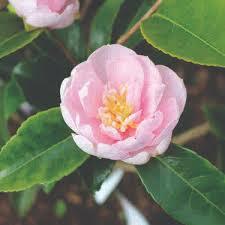 The camellia is a plant known throughout history in Southeast Asia, revered for its beauty and its role in religion and culture, as well as its uses for tea and oil. Camellia sinensis is the plant that tea is derived from; the young tips of the bush are dried (and fermented for black tea), a practice that according to legend was discovered by the emperor Shen Nung in 2737 BC. But it is a plain plant and centuries of breeding and experimentation in China and Japan has led to the development of the many ornamental varieties that are grown the world over for their elegant and colourful flowers and glossy evergreen foliage. Named by Linnaeus after the Jesuit priest Georg Kamel (1661-1706), a keen plant-hunting missionary in the Philippines, the first living camellia flowers to be seen in England (probably Camellia japonica) were reportedly grown in 1739 at Thorndon Hall, here in Essex by the keen plantsman Lord Petre whose tragic early death at the age of 29 was considered a great loss to botany and gardening. We are all familiar with those lovely camellias that flower in the early spring, but there is another cultivar from Japan - Camellia sasanqua - that flowers in the autumn. Unlike most camellias it is delicately scented, fully hardy and flowers from September right through autumn and early winter. In China the flowers are dried and used to perfume tea, and in Japan, the fruit of the sasanqua has been used to produce cooking and salad oil. All Camellias need moist but well drained, preferably acidic soil, but sasanquas are fairly tolerant of neutral soil and prefer more sun to develop their flower buds. The plant can be used as a specimen or hedge, and due to its graceful growth habit (Hugh Evans has particularly useful arching branches) may also be espaliered. The sasanqua was imported to England in the late eighteenth century by the East India Company but it was not until more than a hundred years later that the plant hunter Charles Maries (working on behalf of nurserymen Messrs Veitch in Exeter) re-introduced this cultivar to a wider audience. It has gone in and out of fashion over the years but is now being rediscovered as a fragrant and beautiful addition to the garden.